…..where our guides choose to ride on their days off…. 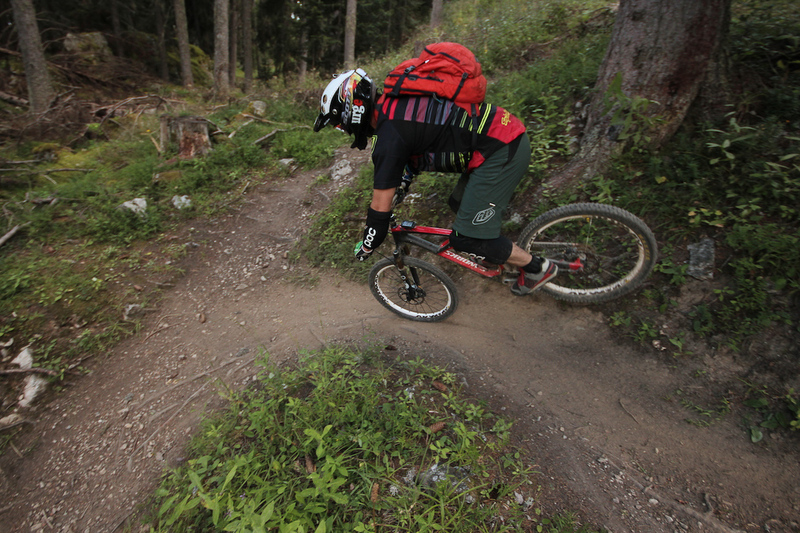 Launched back in 2011, trailAddiction’s 2nd singletrack paradise is already head to head with Les Arcs in terms of the number of customers (and guides for that matter) who have been blown away by the quality of the riding here. Destination X as we like to call it, covers a vast geographical area that includes Albertville, Megeve, Les Saisies and even Les Contamines (Chamonix) – offering huge-scale, gravity-fuelled backcountry epics on hundreds of kilometres of untouched (and unknown about!) 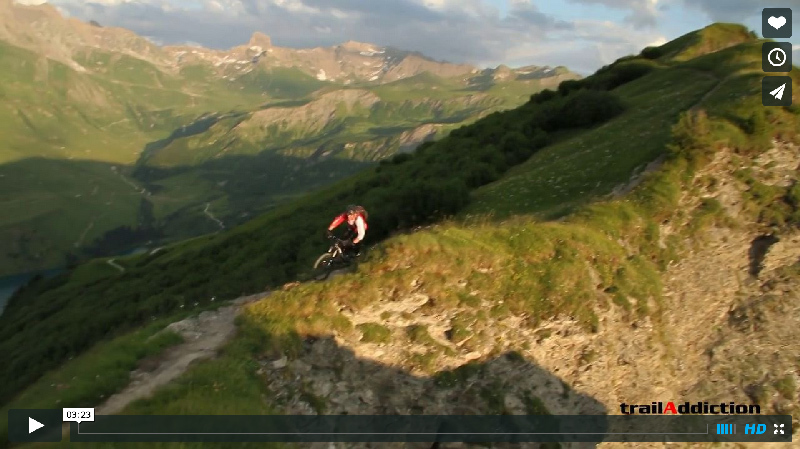 singletrack in the vast Western foothills of Mont Blanc. Best of all it is all connected by an interesting public network of ski-lifts, trains, and bike-equipped-coaches. Its Nirvana for singletrack hounds like us! Lets not get ahead of ourselves here, Les Arcs is most certainly not “old news” and in fact with new lifts opening on the La Plagne mountain each year, there are always fresh trails and even bigger epic days to show you over there too. Being a smaller operation, our Destination X packages are tailored towards strong-intermediate and advanced alpine riders, and we generally only run 2 or 3 groups here on any given week. For these reasons we would urge Alpine first timers or those who are not 100% confident on all-day every-day in epic alpine rides, to try one of our Les Arcs holidays instead. 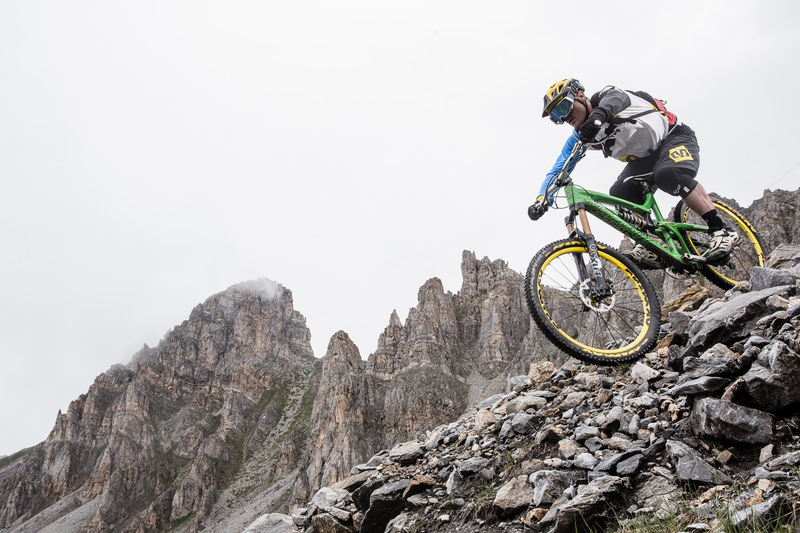 We think Destination X is about as good as it gets, but don’t just take our word for it, see what both SINGLETRACK MAGAZINE and MBR had to say about their stays with us. In summary, if you love riding untouched, natural singletrack trails (in the downhill direction) and also fancy riding totally away from all the larger ski areas (but still with uplift support for the bulk of the climbs)…..Destination X could be just the place for your next holiday. Areches-Beaufort (or simply “The Beaufortain”) is a basin and surrounding Massif, situated to the Western side of Mont Blanc in the French Alps. 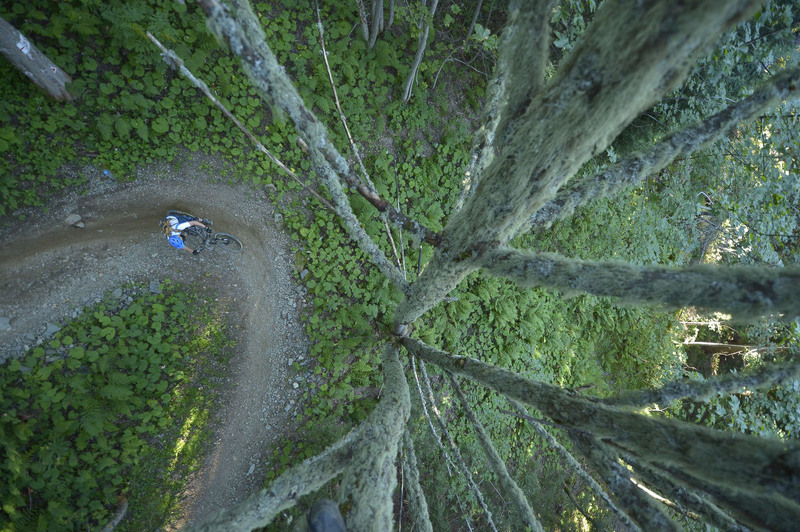 It is a huge area which is, as yet, largely unknown about for mountain biking. It won’t stay that way forever though and it reminds us very much of Les Arcs when we first discovered it, many moons ago. What are the trails like? How do they compare to Les Arcs? Are there lifts? How much pedalling is there compared to Les Arcs? Whilst there are number of very useful chairlifts which we use to gain height and access singletrack in Areches-Beaufort area, there isn’t fully integrated Summer lift network (like e.g. in Les Arcs). This arguably enhances the unspoilt nature of the area. One advantage of Areches-Beaufort over anywhere else we’ve previously ridden is the area’s well organised and innovative coach shuttle system. This service which provides four daily pickups from the valley floor (as low as 350m! ), subsequently serves the main villages (750m and 1000m respectively) and then the top of one of the main peaks (2000m), giving huge vertical and endless “gravity backcountry” possibilities. To top it all off, there’s the trusty trailAddiciton van and trailer in permanent use. In summary, there’s not much must-do pedalling on most days out, although a DH-biased rider would certainly be better advised to check out our Les Arcs packages..
How much do the lifts and buses cost? A flat rate for the week is set to match the cost in Les Arcs for easy comparison. In reality, there is no system pass available to buy that covers the entire areas we use, but trailAddiction will worry about this for you and have made individual arrangements with each of the busses and lifts that we use. What are the accommodation and meal arrangments? We eat and sleep at a clean, comfortable and above all extremely friendly hotel in the centre of the main village. The food is excellent, varied and plentiful and there’s lots of space to store your bike and equipment safely. What’s the price of a week? See full price and package details here. The price includes 7 nights of ensuite accommodation, 3 meals per day (Except staff night off), and 5 full days of trail guiding. When do I arrive and depart? What are the dates? Arêches-Beaufort weeks are Saturday to Saturday. See here For date availability. We cannot offer any flexibility on dates as part of our packages, however the hotel accepts bookings on a nightly basis (and speak perfect english!) should you wish to make your own arrangements. Please note that guiding and trail support CANNOT be provided in these circumstances – we’ll be busy with other guests booked for the next week’s holiday, sorry about that! Arêches-Beaufort is 2 hours’ road transfer from Geneva Airport. Our transfer times are ran on the same basis as our other holidays – see our general FAQ page for details. For those planning to drive, it’s 8-9 hours from Calais, and driving directions will be provided by email, on booking. If there’s something else you’d like to know about our Arêches-Beaufort (“Destination X”) operation, please don’t hesitate to get in touch!